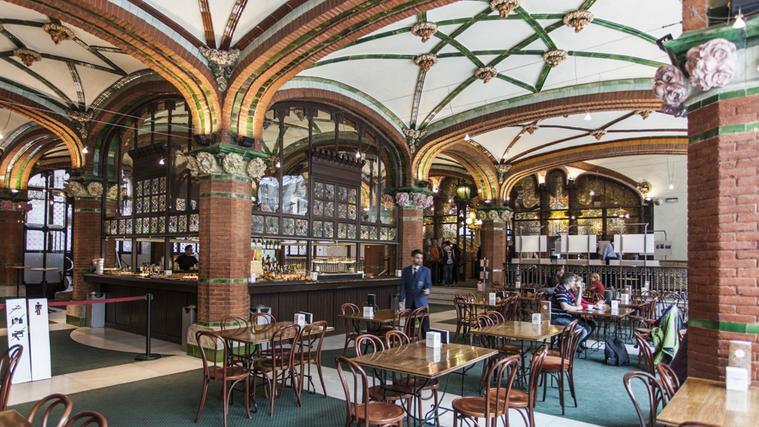 The cafeteria is located in the Foyer modernist at the Palau de la Música Catalana and a daily service that includes breakfast, snacks, fast food, snacks, etc. The Café is always open before, during and after the middle of the concert and offers an exceptional terrace: an outdoor space to enjoy the Café services in a unique environment. It also has a special menu for concert: Express menu, you'll find ready at halftime so that you do not have to queue. Pasta Menu: Bolognese + drink. Menu Caesar: Caesar salad + drink. Menu Burger: Burger Palau + Drink . Served at halftime concert (with reservation).